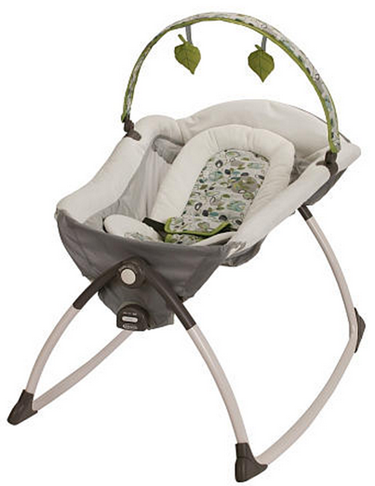 You are here: Home / Sponsored / Graco Little Lounger! The other day I got to attend an event in Dallas for the Graco Little Lounger! I would have LOVED this when my kids were babies! The event was based on 15 Minutes for Mom! As new Moms especially it can be hard to find a minute for yourself. There’s always a baby attached it feels like! So, with that in mind Graco came up with a way for Moms to get a few minutes to themselves while keeping baby happy. It’s important for us to have some time for us and to also teach our little ones how to be happy on their own, too. When my kids were babies all I wanted to do was hold them all the time. But, my Mom would often remind me that I needed to teach them they didn’t have to be held 24/7. So, that is where this great lounger comes in! You can put baby in the lounger and spend a few minutes doing something else! At this event they even brought in a fitness expert to teach us how to exercise while keeping baby happy in the lounger! I really love several of the features of this lounger! It is lightweight – we always have our hands full lugging heavy things!